Clarissa Giebel is a research manager for CLAHRC NWC at the University of Liverpool. When most of us go online to our internet banking account and set up a direct debit to pay a bill, we probably do it swiftly without much thought. But in reality it’s not that easy. In fact, there are a lot of complex processes involved in how we manage our finances, which older people, especially those with dementia, often struggle to deal with. Dementia affects an estimated 850,000 in the UK, with numbers expected to rise to over a million in the next few years. Each year, dementia care is costing £26.3 billion in the UK alone. Most of this involves care in nursing homes and supporting people with dementia with their daily activities. If we look at the whole raft of daily activities a person does, such as preparing a hot drink or a meal, or doing the laundry, financial management is one of the earliest tasks to deteriorate in dementia. These processes are complex, which is why people with dementia often struggle to count change, use a cash machine, pay bills or manage tax records sometimes even before their diagnosis. Daily activities as a whole are often underpinned by a complex network of cognition. This can include different types of memory for past and future events, so the need to remember to do a task at 8pm tonight for example, involves problem solving skills, and attention. But there are other factors that can hinder someone when performing a task, such as motor problems or their environment. In a recent analysis of a large data set collected from 34 clinical centres across the US, my colleagues and I looked at what kinds of behaviour are a warning sign for problems with paying bills and managing taxes in people with dementia. When we obtained the data set, we only looked at people with dementia living in the community, who also had a family caregiver, and a diagnosis of the three dementia subtypes: Alzheimer’s disease, behavioural-variant fronto-temporal dementia, and Lewy body dementia. We then performed an analysis using statistical models to help identify the degree to which certain factors – such as language or motor skills – can predict a particular outcome. In this case, paying bills was the outcome for one model, and managing taxes was the outcome for the second model. We found that between 11% and 14% of the ability to manage those financial tasks is predicted by executive functioning, or problem solving skills, language, and motor problems. So this means, if a person has problems solving difficult tasks, problems with language, they fall frequently and are moving slowly, and are also more likely to also struggle with financial tasks. Slowness and falls are particularly prominent in people with Lewy body dementia, which is different to Alzheimer’s disease, the most common form of dementia. This knowledge can help people with dementia. Older people, including people with dementia, can often be subject to financial exploitation. This can be through online or telephone scamming, or knocking on someone’s door trying to sell something. And when people with dementia struggle using internet or telephone banking, they may be more prone to telling strangers their bank details. A helping hand is needed for those living with dementia to manage their finances. One way to support people in managing their finances may be to provide training to improve their cognition. It’s important to bear in mind that dementia is neurodegenerative. So while we can help people maintain certain skills for longer, there will come a point where full support for finance tasks is needed. This could involve arranging a lasting power of attorney and naming a person that is trusted to look after financial decisions. Another way may be to adapt the homes of people with dementia to avoid falls and allow them to move around more freely. In our analysis, we found that falls were linked to poor finance management, meaning that noticing your loved one fall more frequently than usual could be a warning sign that they may also struggle managing their finances. If we can drag out the need for full support for as long as possible, we can help someone stay in their own home for longer. And that is exactly where people feel the happiest. 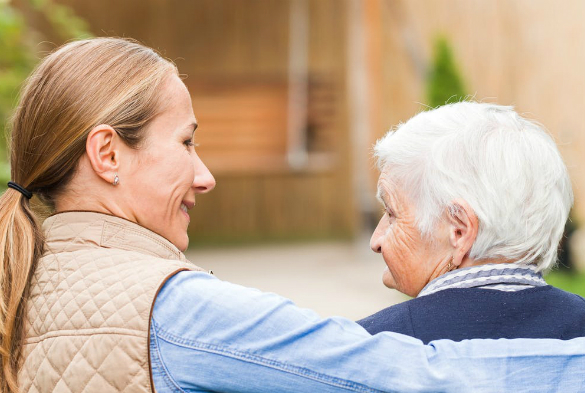 Other, larger financial questions loom for people with dementia, such as inheritance and dealing with payments for formal care – both at home and in future in a nursing home. These are big financial concerns, which should be discussed once a diagnosis is made, but ideally done before. That way the person is better able to judge what they think should be done with their money, and is less likely to be financially exploited than in the later stages of the condition. The Alzheimer’s Society has also produced some good further guidelines on how to deal with financial abuse in dementia. While it may be the last thing someone wants to think about who has just received a diagnosis, the best way to avoid financial abuse is to put things in place right away. If that isn’t motivation enough, staying independent in all sorts of activities improves well-being. And that is our ultimate goal, whether we have dementia or not.